Green Valley Desert Meadows Subdivision is in the Green Valley off I-19 south of Tucson, AZ. Desert Diamond Casino is a short drive north of Green Valley Desert Meadows Subdivision. Tubac is a few minutes south of Green Valley Desert Meadows Subdivision. Wisdom’s Cafe in Historic Tumacacori, AZ is a great spot to eat. But watch the margaritas, they can be lethal. Families living in Green Valley Desert Meadows Subdivision are served by the Tucson Unified School District, or TUSD. 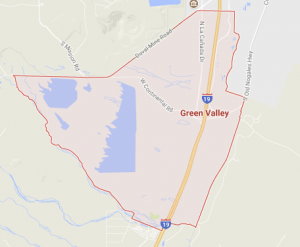 Considering A Home In The Green Valley Desert Meadows Subdivision? Are you thinking of buying a home in the Green Valley Desert Meadows Subdivision or another area of Tucson? Finding the right home can be a challenging process. But we can make the process much less stressful for you. Thinking About Selling A Home In The Green Valley Desert Meadows Subdivision?